In every district or area, the local authority must provide basic facilities for the people. 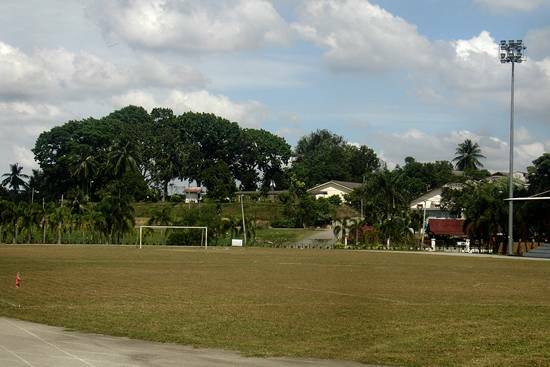 In Jasin, there are many facilities that are provided to the people who live here. Among the facilities that are available here and most districts are recreational places, bus stations, hospitals, clinics, police stations, fire stations, schools, post offices, parking spaces, night markets, wet markets, shopping malls, community halls and also sport centers. Today I am writing about Jasin’ mini stadium. Where does the mini stadium situated? 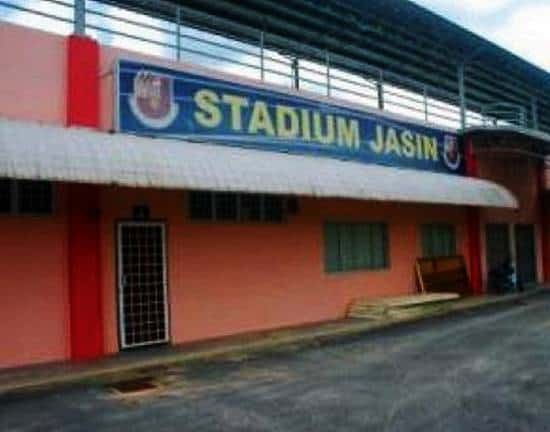 The Jasin’s mini stadium is located in Rim, Jasin. The stadium is easy to find as it is located only 1km from town, about 20 minutes from Ayer Keroh exit and 10 minutes from Jasin exit. If you know where is Sekolah Menengah Kebangsaan Iskandar Shah, the stadium is right in front of it. What stored for visitors when coming to Jasin Mini Stadium? 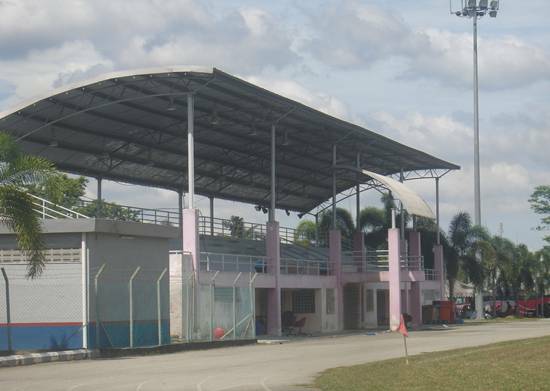 Jasin’s Mini Stadium has a grandstand, a football field, a race track (athletics) and a small changing. Because of its high capacity, many events are held at the stadium. The stadium can accommodate up to 5000 people in any one time. Many big events were held there because the organizers prefer a place that is very near to town. And the stadium location is strategic being only 1km away. At least there is one big event in a month. Besides that, there are also small stalls that sell drinks and food. Not those heavy stuffs for lunch or dinner, but more towards snacks. For those living nearby, and loves sports, they can go there for jogging. the tracks are comfortable to jog on and it is away from the morning traffic. If you visit Jasin during the fasting month, this is one of the location for Bazaar Ramadhan. You can enjoy the pleasure of buying variety of foods for break-fasting. Bazaar Ramadhan opens from 4pm to Maghrib and only opens during Ramadhan. It is situated at the parking space outside the stadium. Although there was a bad storm that hit the Bazaar Ramadhan in 2010, but it continued till now. How much do you need to pay to hold an event here? Expo or exhibition; RM350 to RM1200 depend on the types and time. Currently, there an ongoing construction at the stadium. They are building a food court. You would also be shocked to see a lot of buses at the stadium. It is also the temporary bus station until the completion of the Jasin’s Bus Station.